Singapore: An Indian-origin couple in Singapore claimed that low-cost long-haul airline Scoot refused to fly their special needs child and asked them to deplane before a flight was scheduled to take off. 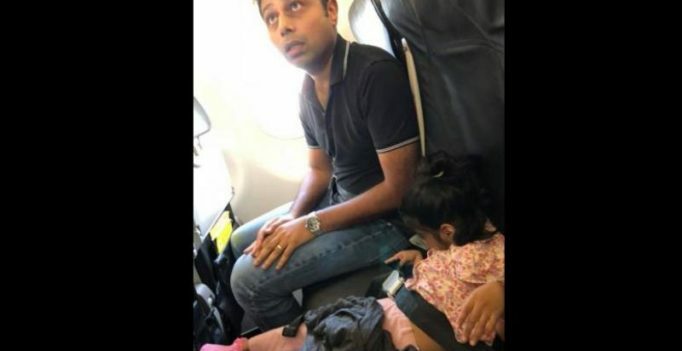 Divya George, the mother of the five-year-old girl, posted online that the captain of the airline caused the commotion after he refused to allow the child to fly with an infant seat belt. Reports said they were flying to Phuket from Singapore for a vacation. Divya’s daughter only weighs 8.5 kilograms and is the size of a 1-year-old child. Divya garnered immense support online when she shared about her situation on social media earlier on Thursday. “Our flight that was to take off at 7:35 am has been delayed by an hour so far because they refuse to fly with my special needs child. They want to deplane us because they refuse to take her,” she wrote on her Facebook page. In a subsequent post this afternoon, Divya updated that she is “saddened beyond words” over the incident and revealed that the captain callously said that it is not his problem if her child slides off her seat and hurts herself during the flight. There was no immediate reaction from Scoot airlines which is owned by Singapore Airlines through its subsidiary Budget Aviation Holdings.